First of 2 vols. The work edited (BB 115) is a printed volume published by Antonius Goin at Antwerp in September 1537, preserved in the Library of Corpus Christi College, Cambridge. Legg had edited the first recension, of 1535, for the Cambridge University Press in 1888.1 This second recension, originating in 1536, was the forerunner of over one hundred subsequent editions before its suppression in 1558 by Pope Paul IV. One reason for the Bradshaw Society's interest in the text was Quiñonez's influence on Cranmer's liturgical projects, which Legg was to edit as . In this present work the 1537 edition is collated with twelve others, which seem to be: BB 124, 133, 140, 157, 163, 184, 243, 244, 251, 255, 264, and a 1542 Diurnal from Giunta which does not feature in BB. 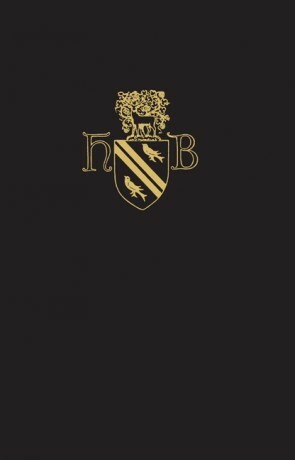 BB = Hanns Bohatta, Bibliographie der Breviere 1501-1850, Hiersemann, Leipzig, 1937. 1 Breviarium Romanum a Francisco Cardinali Quignonio editum et recognitum iuxta editionem Venetiis A.D. 1535 impressam, curante Johanne Wickham Legg, [...] Cambridge University Press, Cambridge, 1888.